Urban scrawl. 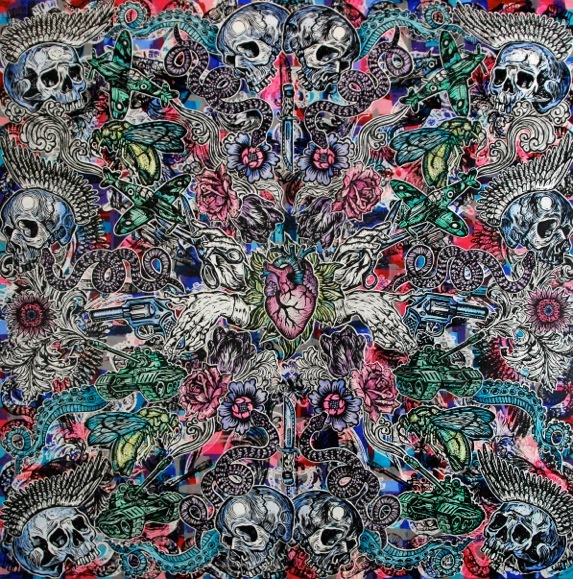 An exhibition of new works. 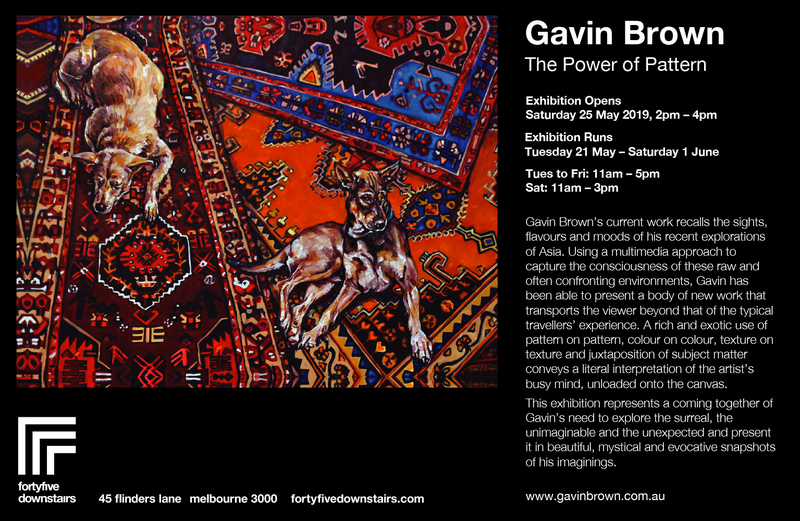 I am pleased and excited to announce my forthcoming show at Fortyfive Downstairs Gallery, 45 Flinders Lane, Melbourne. 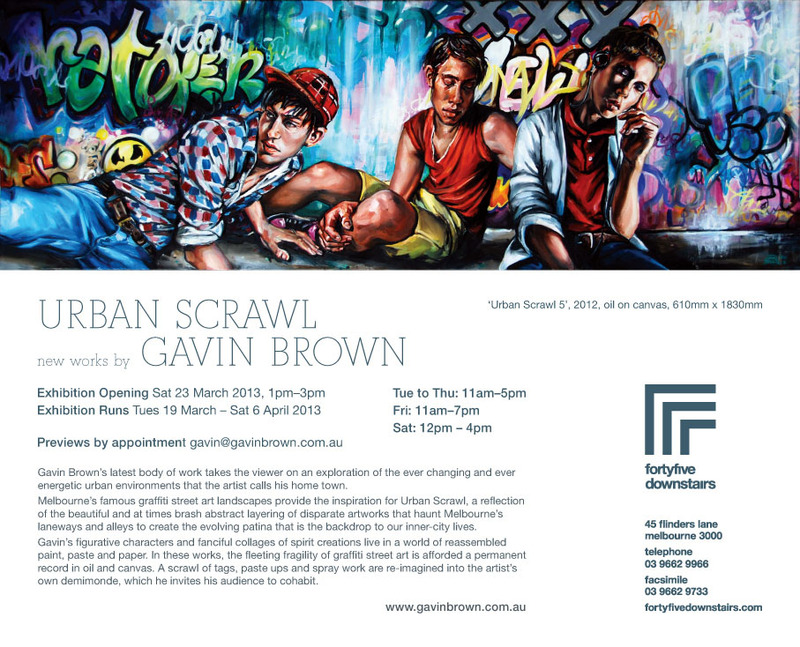 The exhibition will commence on Tuesday 19 March 2013 and run thru 'til Saturday 6 April, full details will be posted here soon. Regards, Gavin. In the first segment of Episode 8 of 'Inside Art' - a documentary series that delves into the world of contemporary Australian Art - The Stock Rooms' Michel Lawrence talks to Australian artist, Gavin Brown. 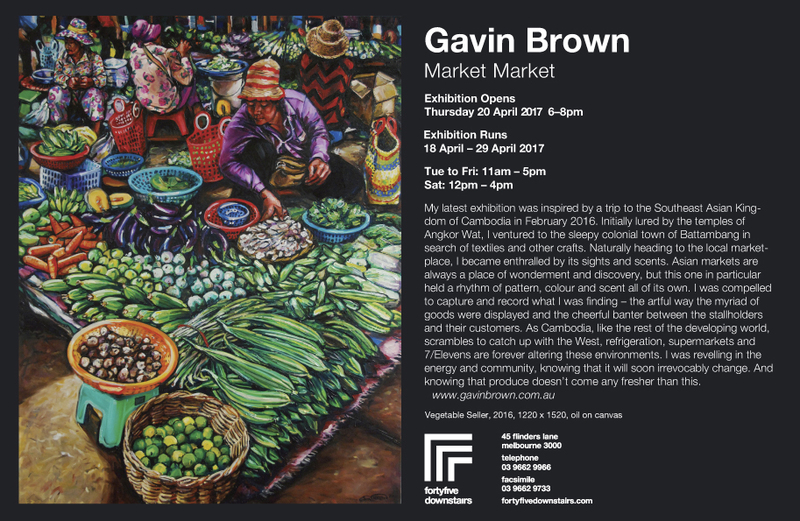 Gavin Brown discusses his "landscape" and inspiration - the inner city; the influence that various people have had on his work and the importance of an artist not relying on talent alone in the current environment. Welcome to the new Gavin Brown website! 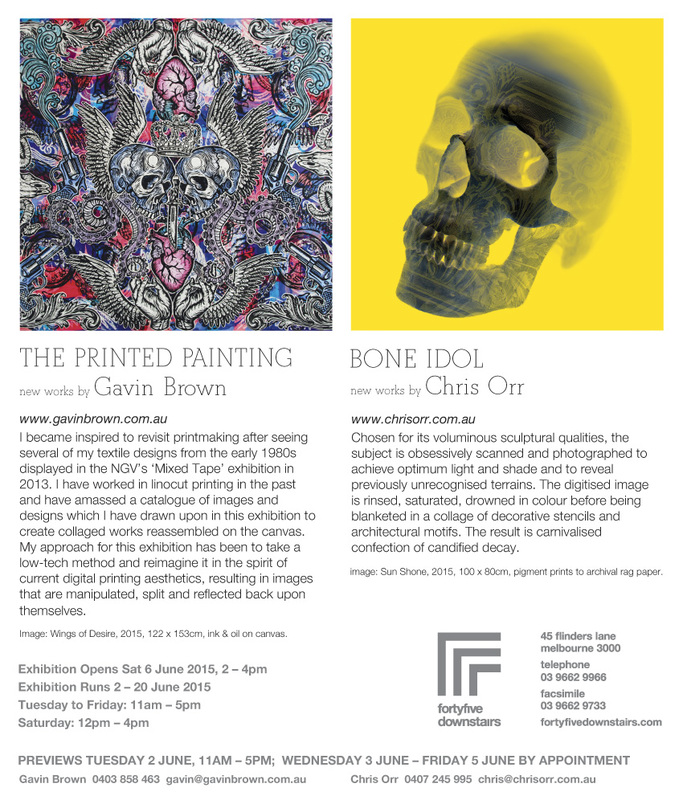 Don't miss out on news of Gavin's upcoming exhibitions. Click here to subscribe to our mailing list.